Clinic Synopsis: The purpose of this clinic is to illuminate those conducting qualities or traits that players find inspiring, bothersome and helpful. These insights are based on survey results from professional, college and high school musicians. Find out how you might improve your conducting, from the players' perspective. Clinician Biographical Information Rick Fleming is an Associate Professor of Music and Director of Bands at SUNY Buffalo State where he conducts the wind and jazz ensembles. 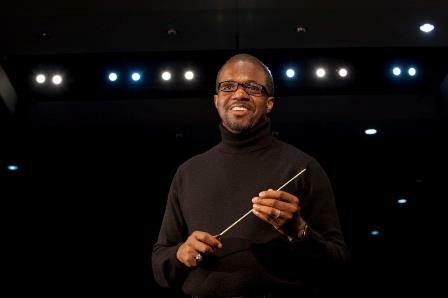 He also teaches undergraduate conducting and instrumental methods. He the founding conductor of the Erie County Chamber Winds, a professional chamber winds group made up of members of the Buffalo Philharmonic and other professional players in the Western New York area. Fleming recieved his Ph.D. in Music Education with emphasis in wind band conducting from The Florida State University where he studied with Clifford K. Madsen and James E. Croft. He earned his M.M. in trombone performance from The University of Mississippi and Bachelor of Music and Bachelor of Music Education from Mississippi Valley State University.